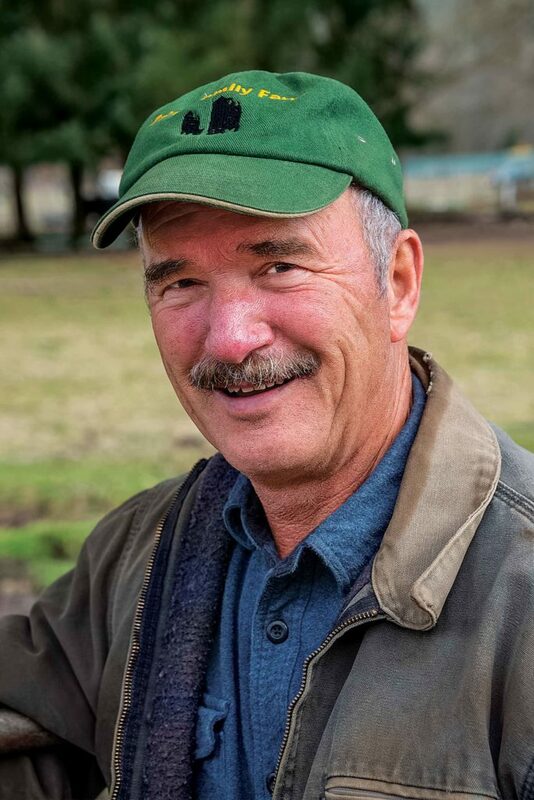 A few years after buying five acres outside of Applegate, Oregon, Darrel Prose and his wife Vickie stocked the pen with Angus cattle. The place was ideal for a small herd, with a house, barn, and shed that used to be the heart of a dairy farm. Darrel says it was relaxing to come home from a long shift with the Medford Fire Department and walk out among the cows, scratching their backs and getting to know their personalities. “It’s kind of therapy after you see the kinds of things you see with the fire department,” he says. It’s been 25 years, and Prose has retired from the department. But he still relishes his daily visits to his little herd of eight breeding cows, a bull, and half a dozen Angus feeder calves. Breeding priorities. It’s not just the anticipation of a good scratching that makes Prose’s cattle so amiable. He works hard to select for well-behaved cattle when he makes his breeding choices. Prose is an expert welder and repairman, which keeps expenses low for his cattle and the hay business he and his brother own. He built a pair of covered, concrete-floored feeders he says have dramatically reduced feed waste. Prose says he has an inside line on breeding: his brother Dwayne “Spark” Prose, who owns a herd of 50 registered Angus cattle just down the road. Darrel and Dwayne served together on the Medford Fire Department and teamed up to build a hay growing and custom haying business. Dwayne is also Darrel’s advisor on breeding decisions. “I am pretty much a student of my brother’s knowledge,” Darrel says. They select a new bull for Darrel every three years based on EPDs—expected progeny differences, statistical models that compare how a bull’s offspring will perform compared to the calves from another bull. It’s all part of an ongoing effort to achieve key improvements in his herd, like calving ease and mother cows that produce plenty of milk to help calves grow quickly. Carefully selecting bulls seems like more of a big-herd exercise, but even at Prose’s scale, breeding for cattle whose calves reach market weight months faster has improved profitability. “Instead of selling beef at 20 months or two years, I’m now selling at 16 to 18 months at the same weight, and I get good feedback,” Prose says. 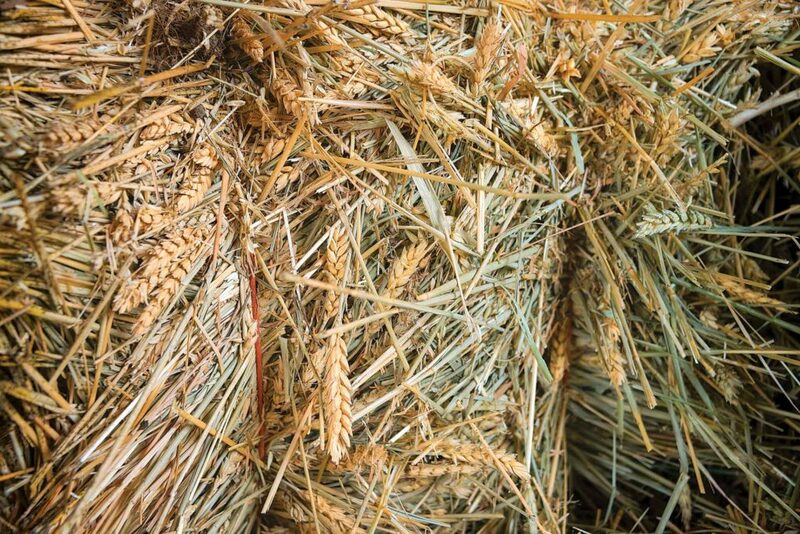 “I’m saving six months of feed and turning out a better product. That’s a huge amount of money. “Until you try something new, you don’t realize how much that benefits you,” he adds. Less waste. Prose really appreciates efficiency. 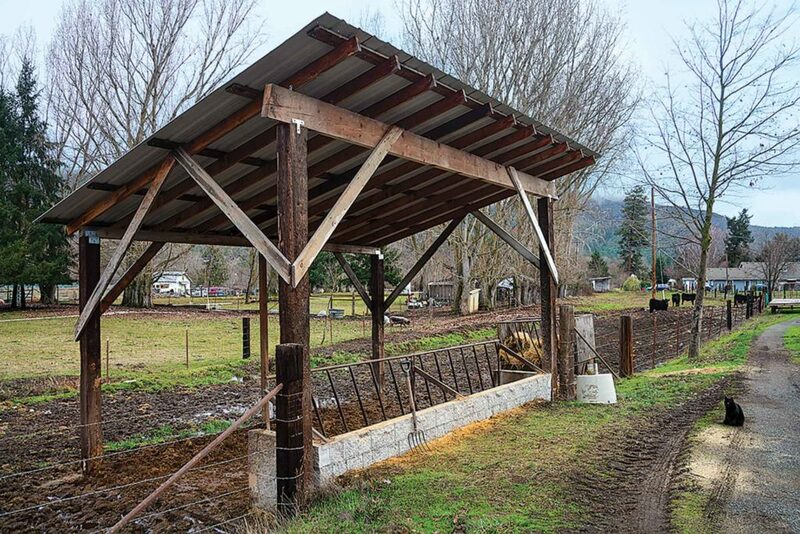 He built a pair of covered feed bunks from concrete, welded pipe, wood framing, and steel panels. Even at a cost of $1,500 for materials, he says the feeders have dramatically improved his bottom line. Prose and his brother Dwayne own a hay business. Last year, cutting and baling spring wheat in its milk phase turned out to be a huge hit with the cows. “They’ll lick that floor clean,” Prose says. “I know that when you’re feeding animals on the ground, you lose about 30 to 40 percent [of your feed],” he notes. “With the two metal feeders, I’ll bet now I don’t lose five percent of my hay. Prose notes that the concrete floors of his new feeders have allowed his beef calves to get the most out of their new favorite hay—baled spring wheat that he and his brother harvested when the developing wheat kernels were just mature enough to express a milky liquid when squeezed. Though grass-fed beef is a growing trend, Prose prefers to finish his calves on oats, barley, or triticale that he grinds with hay in a hammer mill. “When I get within a couple of months of butchering time, I start supplementing heavily with grain in the ration so they marble out real well,” he says. Evening feeding. Meanwhile, Prose’s bull and breeding cows do quite well on grass hay. Prose aims for calving in February so they will mature by the following summer or early fall. He learned from his brother that putting out hay in the evening promotes daytime calving. It sounds like an old wive’s tale, but Prose swears by it, and there’s university research to back him up. Evening feeding to encourage daytime calving is called the Konefal feeding system, named for the Canadian rancher who developed it in the 1970s. Iowa State University scientists tested the Konefal system with two weeks of feeding at 4 p.m. prior to calving, and found that 82 percent of the herd’s calves were born between 6 a.m. and 10 p.m.
Darrel Prose says getting out with his cattle was a great way to decompress from the stress of firefighting. In fact, only 9 percent of the calves were born between 11:00 p.m. and dawn. That represented a huge contrast with the 50/50 day/night pattern in herd that are not fed on the Konefal system. The Iowa State researchers advise starting the program a full month before the expected calving date, and avoiding a deviation in feeding time of more than 15 minutes until the calves are born. Word of mouth. When summer rolls around, customers are excited to get their beef. Prose says his sales are almost exclusively word-of-mouth. Prose sells his beef in halves, weighed at harvest by the processor who comes to his farm with a slaughter truck. Joe Spielman of Alpine Meats in nearby Grants Pass handles the slaughter and quartering, and hauls out meat, hides, and offal. Prose pays Alpine for the slaughter and collects $3 per pound of fresh hanging weight from his customers for halves that usually weigh about 350 pounds. After that, individual customers work with a butcher to get the beef cut way they want, paying 65 to 70 cents per pound for processing and packing. “It takes a lot of load off me,” Prose says. Prose is quick to note that selling a dozen head of beef a year is hardly a get-rich-quick scheme. “What we make on the few animals we sell is pretty slim,” he says, adding that the keys to his profitability are that he is handy with a welding torch and that he and Dwayne grow their own hay. If he had to rely on grazing his cattle on his five-acre property, even with its good irrigation rights, he would have to cut his herd by half or more. “I don’t make a whole lot per hour, but I can still make a profit,” Prose points out. That makes a nice supplement to his retirement, and this year, the Proses—avid hunters who fill their freezer with elk and venison—are hanging onto a half of beef for the first time. But Prose says raising cattle is about more than meat or money. “I’m just doing what I love,” he says.